VATICAN CITY (CNS) — Remember that Christ is a friend who invites sinners to his table, and do not forget God’s call to repent and live holy lives, some representatives of Christian communities told the world Synod of Bishops. Many of the 12 nonvoting “fraternal delegates,” whose presentations were published by the Vatican Oct. 16, touched on the themes of mercy; the Eucharist as a sacrament for healing, not a reward; the possibility of allowing divorce and remarriage in the Orthodox Christian tradition; and the need for repentance. The delegates are invited by the pope and represent a variety of Orthodox, Anglican and Protestant churches. 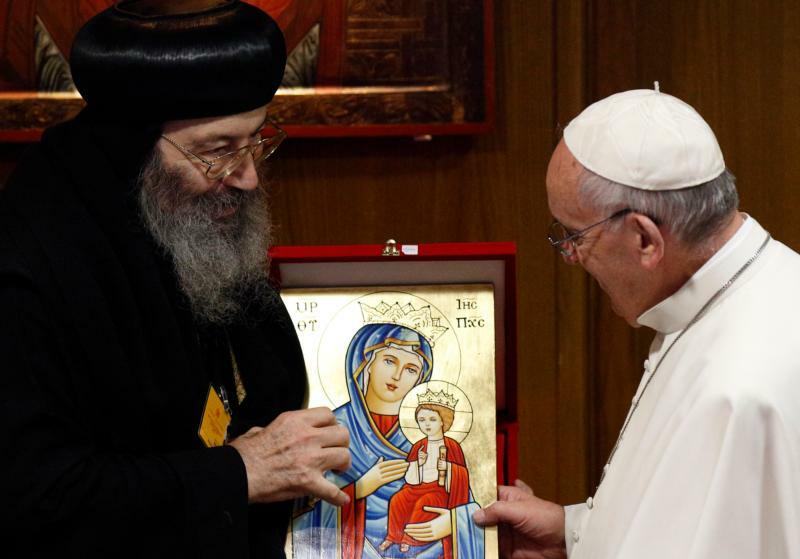 Representing the Syriac Orthodox Church, Patriarch Ignatius Aphrem II of Antioch said the Orthodox church sees the sacrament of the Eucharist as “medicine for wounded souls” and as a way to help people rebuild their broken relationship with God. The salvific power of the Eucharist “should never play a part in the norms of punishment, except for certain exceptional cases,” his text said. Speaking at a Vatican news conference Oct. 16, Metropolitan Stephanos of Tallinn and all Estonia, representing the Orthodox Church of Estonia, said when a couple marries, they know it is meant for eternity and have no initial intention of divorcing. Metropolitan Stephanos said the bishop is not obligated to give a divorce, but he does take the couple’s condition of weakness, sin and despair into account. The goal at hand is to help the people involved work through their conflicts and rebuild their lives through a long and precise penitential process, he told reporters. If there is a second marriage, he said, it is not the same as the first which is a “triumphal” and celebratory occasion, and the subsequent, which is “penitential” in nature with both spouses looking at their situation with full honesty. Instead, Christians are called to use the Gospel’s healing power and God’s call to overcome that fragmentation to build communion with him and one another. “There is no perfect family and no perfect marriage,” he said. While families are a source of great blessing, they can also be a place of terrible harm when there is sexual abuse or battles over inheritance. “People yearn for mercy,” and Baptist hymns are replete with references to Jesus as a friend who is present “in the midst of our imperfections and struggles,” said Rev. Medley. Christ, “in his vocation of suffering servant, enters our woundedness” and invites sinners to sit at his table, said the Baptist minister. “If we are joyful, mature Christian disciples we will not be afraid or over anxious about the changes that are happening to each one of us as well as to families around the world,” he said. The Christian faith finds its joy and hope precisely in knowing that change is not only always possible, it’s always unfolding. “Every day we’re called to be converted to Christ, turn away from sin and turn to God. Every day we open ourselves to the possibility of transformation,” he said.